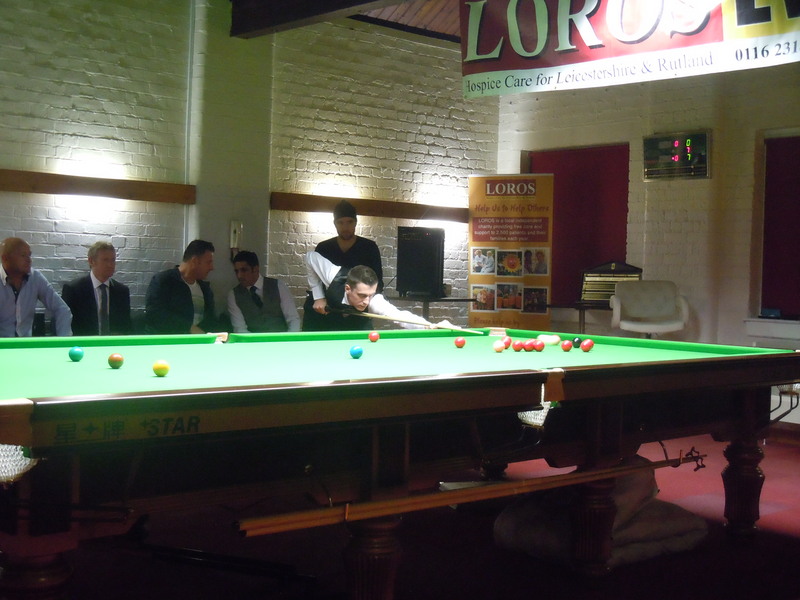 World No.1 and Leicester’s very one, Mark Selby, officially opened the newly refurbished “The Winchester” by playing an exhibition with Leicester football legends Steve Walsh, Muzzy Izzet and members of the club. The evening was also a fundraiser event for local hospice LOROS, of which Mark is a patron for. The evening raised a total of £772.17! A big thank you from everyone at The Winchester and LOROS to Mark, Steve and Muzzy who all voluntarily gave their time for a worthy cause.